The Wagner Society of New Zealand is an incorporated society of approximately 400 members sharing a common interest in the life, works and influence of Richard Wagner (1813-1883), conductor, critic, designer, writer, inventor of music drama, and composer of some of the greatest music ever written. The Wagner Society of New Zealand was established and incorporated in June 1994. Founded originally in Auckland, the Society now also has branches in Wellington, Christchurch and Dunedin. 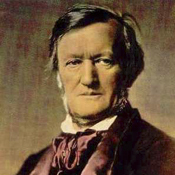 The Wagner Society of New Zealand is affiliated to the worldwide network of Wagner Societies and aims to extend knowledge and appreciation of the life and works of Richard Wagner, his times, his artistic contemporaries, and his successors. Through activity and performances associated with this aim, it is hoped to bring about greater musical enjoyment of Wagnerian music-drama and a deeper understanding and appreciation of the ideas that brought it to birth as a unique type of art, from which we can still draw much that is of great value today. The Society also believes in the long-lasting values of musical understanding and enjoyment amongst nations, and aims to promote these in its own region, and in partnership with all the countries covered by the world's Wagner Societies. Regular meetings and newsletters keep members in touch with each other, and there are frequent opportunities to share performances of Wagner's music, "live" when possible, and in recorded presentations. The Society also encourages interest in all aspects of Wagner's music by other musical organisations. As with other Wagner Societies, the WSNZ acts as a focus for information regarding travel and the obtaining of tickets for various Wagner-related musical and dramatic festivalsl. From time to time, the Society also arranges its own travel parties and study-tours to such events. If you are interested in joining the Society then click here for further information.